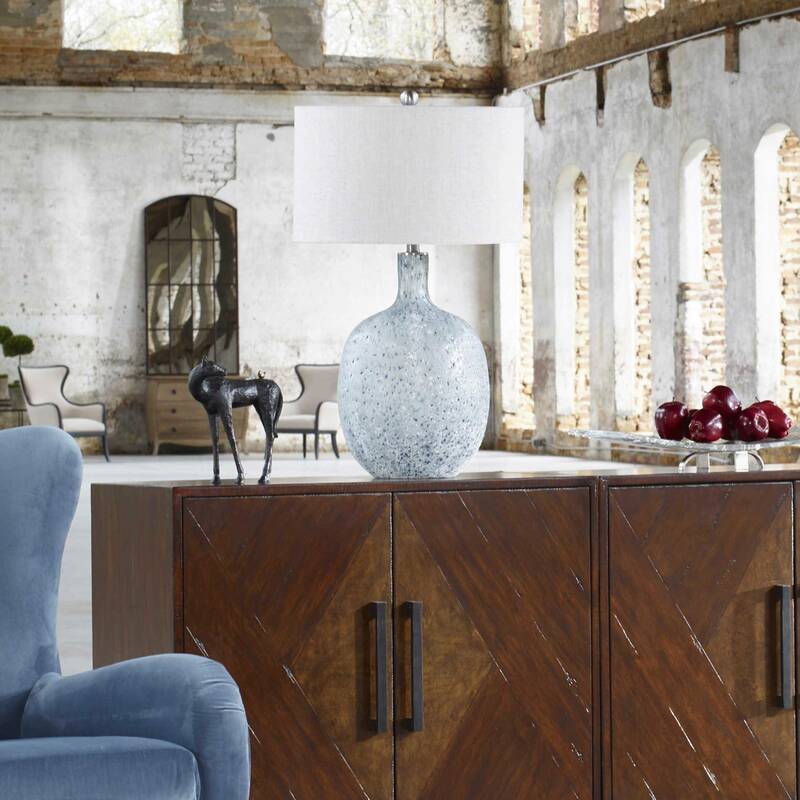 Oceaonna Glass Table Lamp has a finish that's reminiscent of an ocean wave crashing. 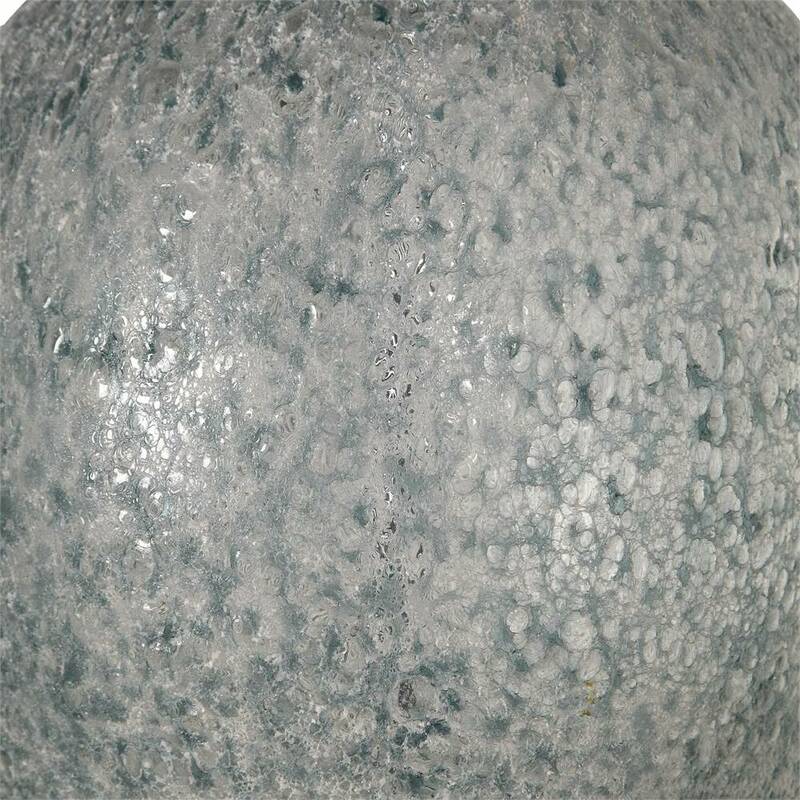 This beautiful beach style table lamp features mottled shades of blue and green, covered in a highly textured, weathered white glaze, and enhanced with brushed nickel plated details. 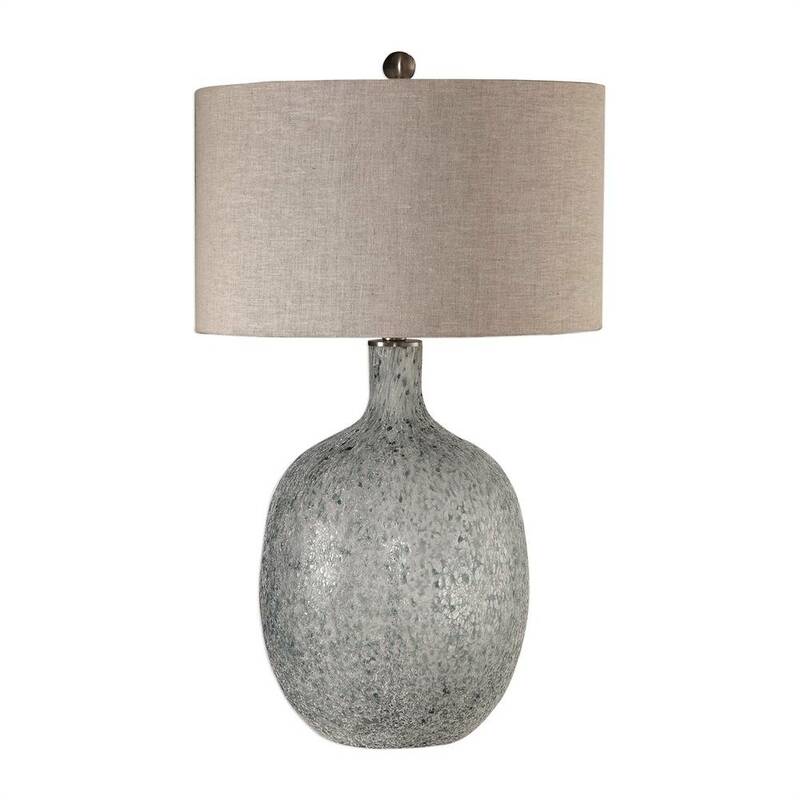 The round light beige linen fabric drum shade provides a soft glow when the table lamp's 3-way switch is set on low, or a bright elegance when set to its highest setting of 150 watts. 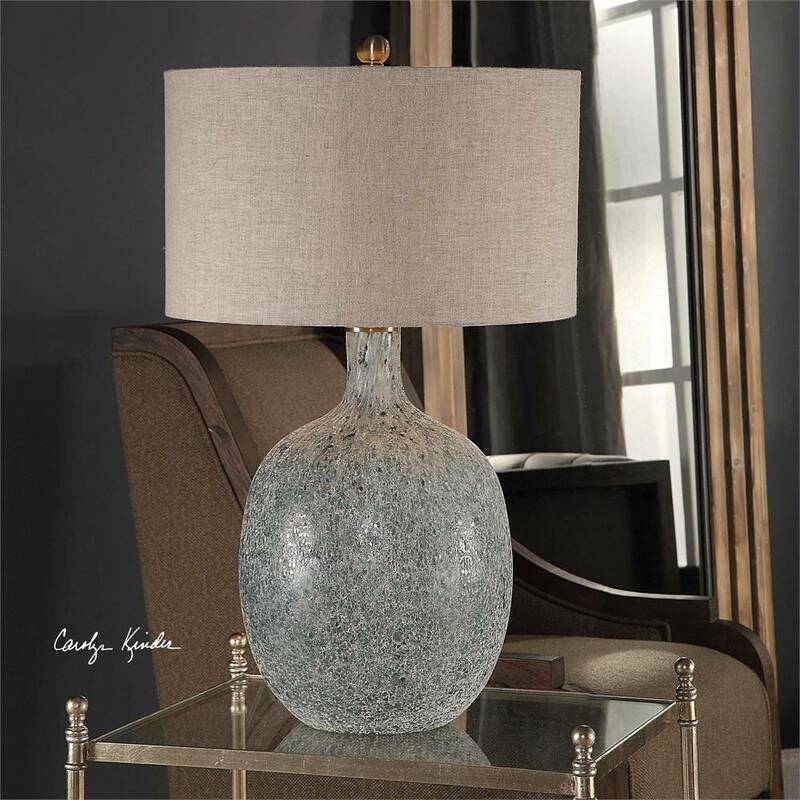 Another perfectly designed table lamp by Carolyn Kinder.